In today’s hectic and fast paced life the most important factor required to remain healthy is to build immunity. Developing a strong immunity is a lifelong process, the foundation of which should be laid early in life. So that it saves you from consuming multivitamins and supplement pills as a last resort. To strengthen your immune system you need to follow a very healthy and balanced diet, regular exercise, yoga and stress management. Proteins: The most important part of any food group as it helps making antibodies to fight off the diseases and boost immunity. Good sources of protein are fish, poultry, lean meat, dairy products, nuts ,legumes, pulses such as soya bean, kidney beans and lentils. Vitamin C: The best immune booster food that also acts as an antioxidant for the body. Richly found in citrus fruits, gooseberries, strawberries, tomatoes, green peppers, kiwi and some other green leafy vegetables. 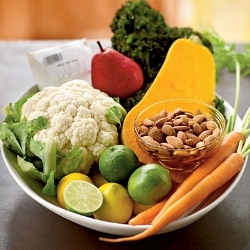 Vitamin A and Beta Carotene: Vitamin A and beta carotene help maintain the health of internal organs of the body. They act as body’s defense mechanism against bacterial and viral infections. Rich sources of Vitamin A include dark green, yellow and orange colored vegetables like carrots, broccoli, mango, apricots, bell peppers and tomatoes. Omega 3 fatty acids: These are the essential fats that play a good role in maintaining a strong immune system in the body. These foods are also good for an effective brain development and a good skin and shiny hair. They can be obtained from nuts, seeds, fatty fish, sea food and pressed oils. Probiotics and Prebiotics: The best foods for improving overall health and immunity. The help rejuvenate digestive system and enable good absorption of healthy nutrients. Yogurt, bananas and some fiber rich foods are rich sources of probiotics.